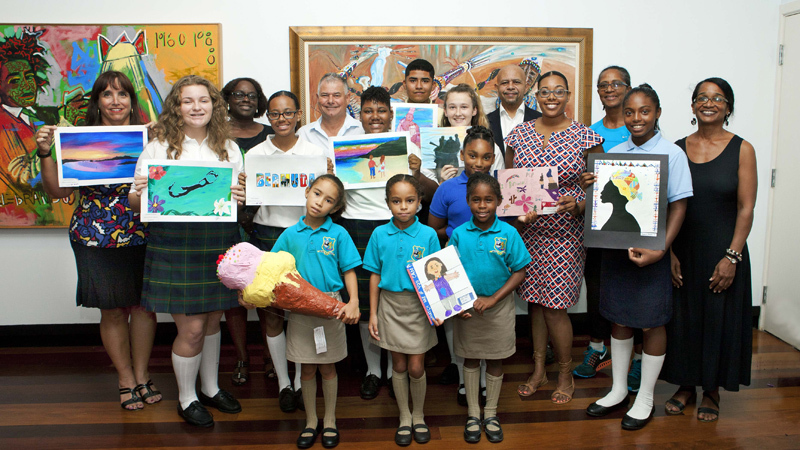 Yesterday the Minister of Social Development and Sports Zane DeSilva presented awards to the winners of Mirrors’ 10th year anniversary student art competition, “Reflections of Bermuda”. 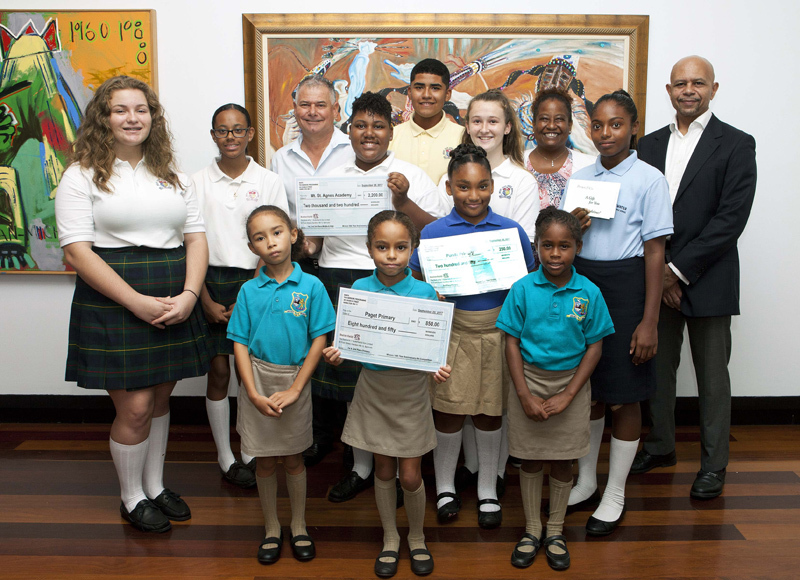 The focus of the competition was Bermuda’s cultural symbols, its way of life, neighborhoods and its people. 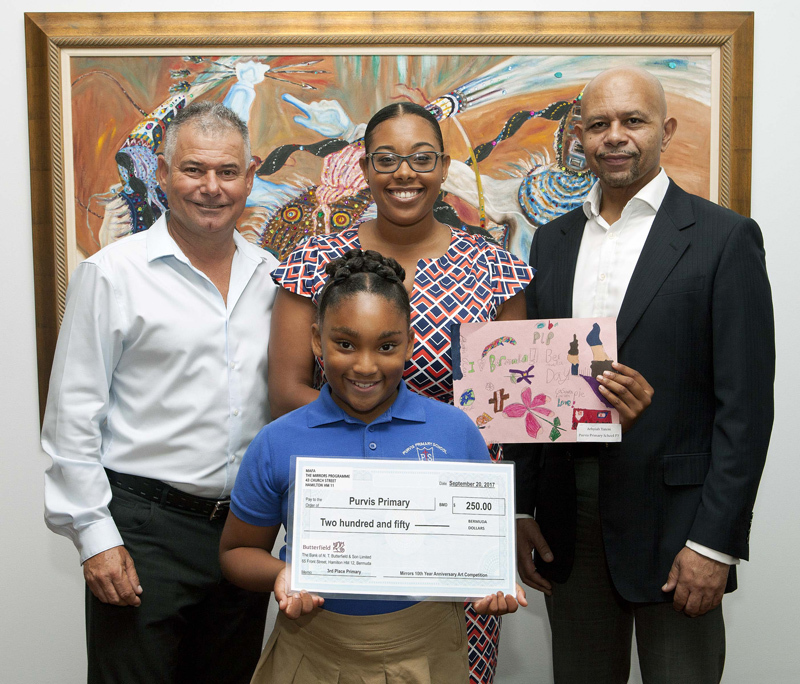 More than 100 pieces of art were displayed for this competition at the Masterworks Museum of Bermuda Art from July 21 – August 16, 2017. The winning categories were selected by three community judges for 1st, 2nd and 3rd place awards at the primary, middle and high school levels. The “People’s Choice” awards for primary, middle and senior school levels were decided by the public vote during the exhibit. Minister DeSilva said, “Congratulations to the winning students standing here today. Your work was recognized by the judges and the community as outstanding and noteworthy. 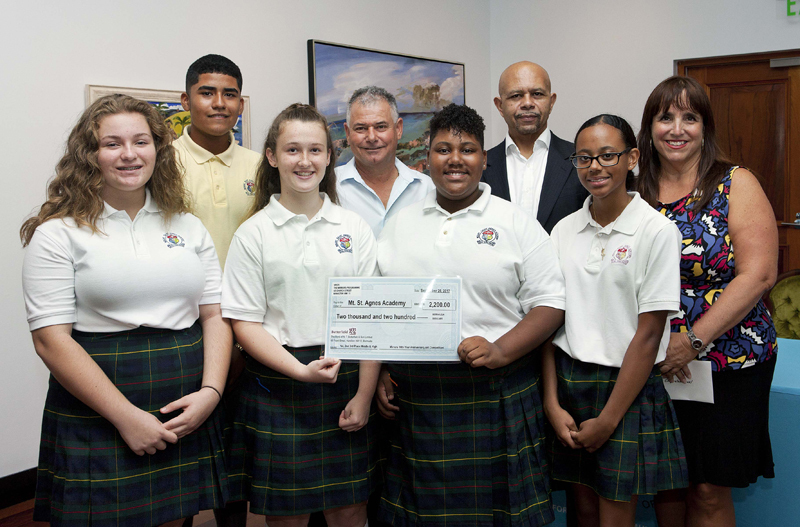 “Your vision and execution of the competition topic was creative, colorful and a unique reflection of Bermuda. Continue to communicate your vision through art and we look forward to your participation in future competitions. “We value the role that art and culture play in our society. It has a significant impact on our economy, health, wellbeing, society and education. “On behalf of Mirrors and the Alumni, thank you to Axis Capital for being the major sponsor for the competition. Thank you also to Masterworks, DNA Creative Group, TOPS and AF Smith for donating prizes toward the competition. 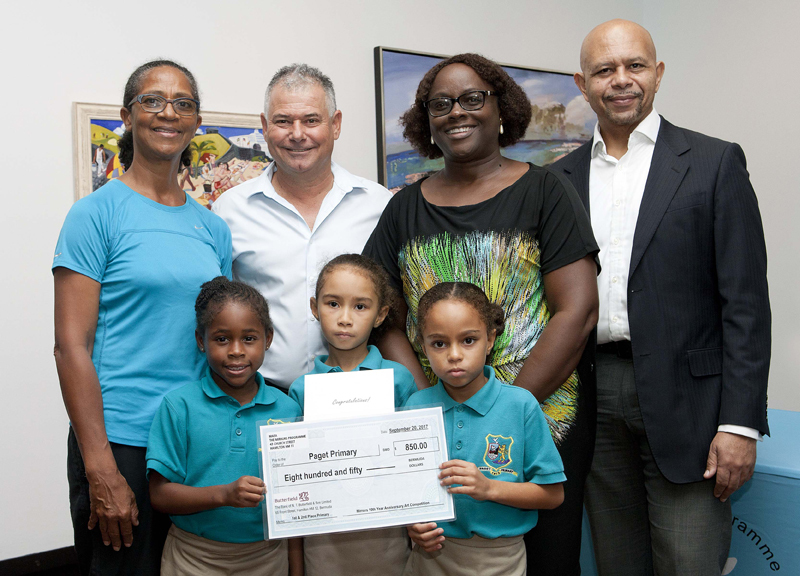 The Minister thanked the following schools for participating: East End Primary, Purvis Primary, Paget Primary, St. David’s Primary, Mount Saint Agnes Academy and T. N. Tatem middle school. Congratulations to all these young artists. Well done!